TheCoplandRoad.org: Put up or shut up time, is it Charles? 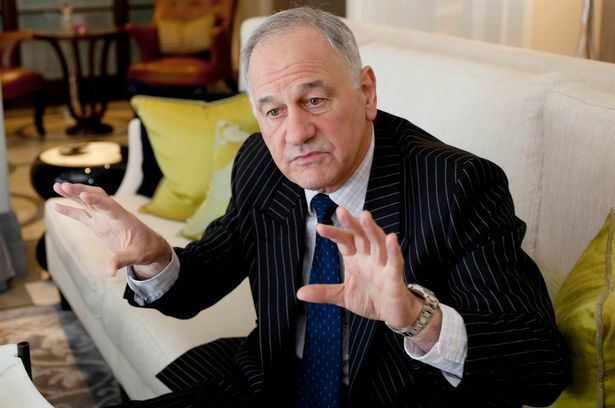 You would need to have been residing on the moon for the past week if you have missed the great Charles Green reappearance. Of course even if you had been one of the Tims there would have been sure to tell you about it. The Charles Green circus has rolled back into town after a two month break. Enough time to allow over 34,000 of us to renew our season tickets without the backdrop of the playground level nonsense in the boardroom that we had become so used to since his arrival. But with renewals done, he’s back on the scene. His role as a consultant is apparently for an investor group, “Specifically assisting with shareholder relations and advising the company on its capital structure.” It is fair to say that his first week on the job won’t have pleased many of the company’s shareholders, who are presumably picking up the tab for the privilege. In Green’s view the Board has apparently become dysfunctional in his absence and the Club needs sorting out as it’s in a mess—the one thing that he and Jim McColl appear to agree on, though McColl put his name to a requisition to remove Mather, Smart and Stockbridge from the Board and replace them with Frank Blin and Paul Murray. Green was back at Ibrox Tuesday night for the Newcastle friendly following a week that has seen a very public spat with the manager and the loss of Walter Smith as Chairman and from the Board altogether. Not a promising start on the shareholder relations front. And his plans for the capital structure appear to be to get £14m for 28% of the club by Friday, wanting fully 70p a share rather than a value near their current 41p stock market price. So we have been treated to more of his usual grandstanding and deflecting tactics. He has challenged Jim McColl, Murray and others that Smith had backed upon his departure, with his usual 'put up or shut up’ rhetoric. That’s an interesting tactic for a man who has paid 1p a share and last term was reportedly taking £720k in salary and bonus from the club. Green personally put in £50k for his shares (1p per share), and was the front man for the £5.5m consortium that took Rangers over last June. He still has his shares to sell, and has an agreement to sell around one-fifth of them to Laxey Partners. Imran Ahmad paid £22k for his Rangers shares (also 1p per share) and took a £50k fee for arranging a £200k loan to the new company. Ahmad’s salary was £350k before he left under a cloud, and it is understood tried to agree a lot more than that in a bonus as he left. Some would tell you that Ahmad and Green earned their money. We simply won’t know until we have the audited facts and figures. If they are good deals and good figures then why not make them public? What is there to hide? Unless they did untold damage on their way out. Others would say Green was the man who saved Rangers. That would be to underestimate Ally’s role. What we can say is that after a shambolic administration process run by Duff & Phelps, Green ended up the right man, in the right place and at the right time. And we know he had dealings with Whyte, which he denied for months until evidence was put under his nose. It would be interesting to hear the whole story. Put up or shut up? Consider who has put the money up to run the club: The fans. We have stepped up on all fronts selling 35k season tickets this year and last and also putting £5m into shares the week before Christmas. That is stepping up to the plate. We were joined by investing institutions who put in £17m. Both we and they are right to demand answers. Green’s tactic is to point to the shares and muddy the waters. To apply the pressure on these people talking about a takeover who must show him the money. But McColl did not say he was looking for a takeover; he is looking, like many of us, for financial sanity at the club. To learn lessons from what has gone before. As one of Scotland’s most successful businessmen, knowing full well Rangers is a 24/7 job, he hasn’t the capacity to get involved, but he is a respected voice that should carry some weight and is surely worth listening to at least. He has put together a requisition due to concern about the way the Club is currently run and will have the backing of some shareholders in doing so. In particular, a handful of the institutions that invested at 70p-a-share at the IPO. They are now sitting on a paper loss moving towards half their investment, as are the long suffering fans, and still there is no concrete financial information about the performance of the club. It’s simply not good enough. Now, Charles, things have not suddenly gone FUBAR in the last two months. If things now need reigned in financially, the majority of it happened on your watch. How much of the £22m IPO money is left? How much of it has been used in payoffs and to plug operating losses? And if you are concerned about the financial position of a new company that’s losing money what you do not do is to take inflated salaries and spurious bonuses from it. That is not in the interests of shareholders. It is only in the interests of those taking the big money out. The playing squad will also need addressed. Regardless of what it costs, we will be wasting money by having 8 to 10 bodies in a squad of over 30 who will never get any game time. Comparisons with last year’s wage bill are neither here nor there. How many players do we need? What in budget have we got for that? It’s simple stuff. Same goes for the management team. Have we got what we need? Are we getting value for what we pay? But invalidating one does not validate the other, as many fans have taken to doing on Green's behalf today. Is the management team overpaid? Yes. Does that mean Green's compensation during his time on the job is reasonable? Of course not. Exorbitant cost is exorbitant cost, wherever it lies. Frankie Blin certainly has the CV for the job, although Green may not want him anywhere near if things are bad. Paul Murray will have to get over being in the RFC Boardroom from 2007 to 2011, where debt was reduced and he sat on the Alistair Johnston group that advised against Whyte’s takeover,. But he could and should more have been done re: Whyte, Lloyds and the HMRC claim. Weak involvement surrounding the Blue Knights is another negative. All questions for him to answer. Fans will make their own minds up. Personally I’m more interested in listening to people who have put money into the club who are here for the long term rather than those who continue to take it out, trying to make £14m by Friday. The institutions that invested with us in December will play a key role in the forthcoming EGM, as will the Craig Mathers and Mike Ashleys of this world. The fans have put up, for season tickets and for shares and the rest. Now is the time to get answers on the financial state of the club and get an experienced Board running a tight ship. It is the very least we should expect.